Cheese art is always welcome here at Ateriet. 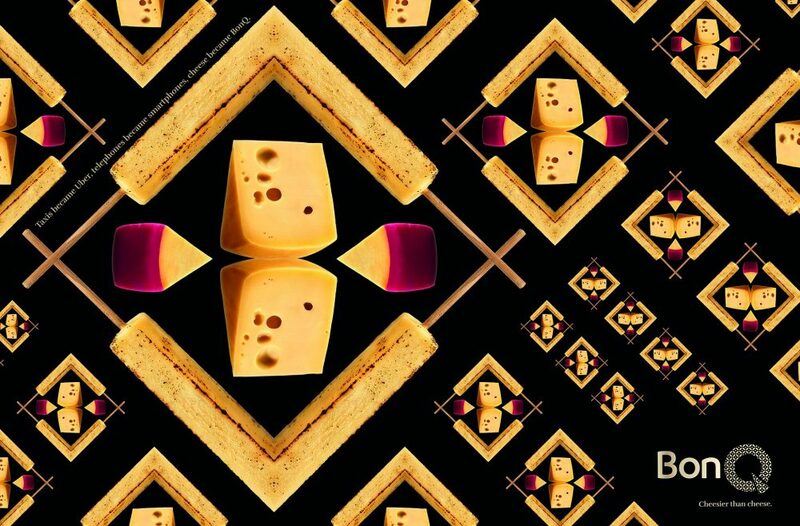 Brazilian cheesemaker BonQ decided to get creative in their latest line of ads, check out these beautiful cheese art ads, you won’t regret it. I love cheese art ads, I love cheese and I love art. 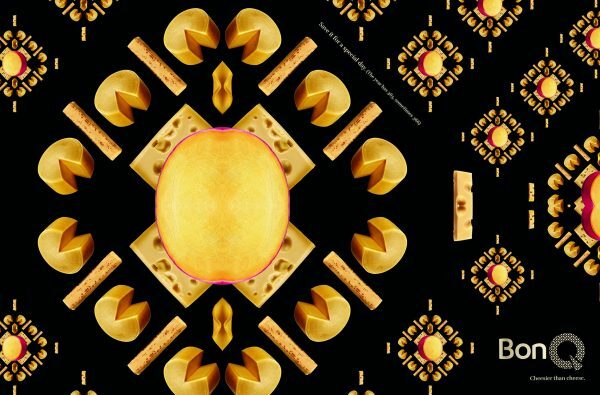 So it is simply impossible not to like this set of cheese art ads that Brazilian cheese company BonQ came up with. What they did was put together a collection of beautiful and what I am guessing is also delicious cheese and arranged them into patterns. 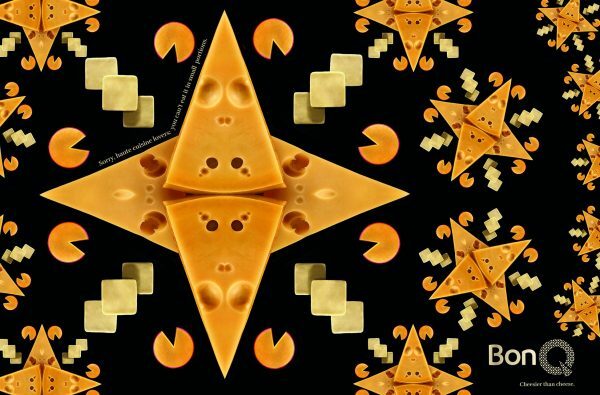 Since they have plenty of cheese to offer they created four similar cheese art ads all in the same theme and style. It’s cheese, arranged beautifully on a black background. 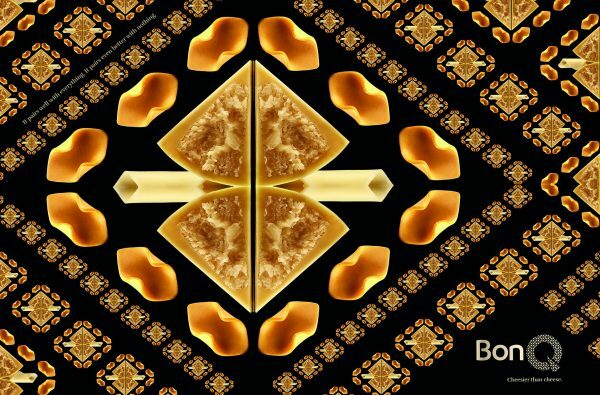 Think kaleidoscope and you are not far from what this looks like. What I like about this set of ads is how they are making their product the hero. They have taken their biggest asset and put it in front. That’s not unusual, many food companies and advertisers do that. What you need for something like that to get noticed is something extra. This is where the art part comes in. By arranging the cheese and adding a different tagline for each ad this set is all done. You can check out all four ads below with the taglines that are almost hidden in each ad below. For more great food art and design make sure to check out my full coverage here. Sorry, haute cuisine lovers: you can’t eat it in small portions. It pairs well with everything. It pairs even better with nothing. Taxis became Uber, telephones became smartphones, cheese became BonQ.